This Total Materials Vol.18: Sky Textures contains 101 individual Image. 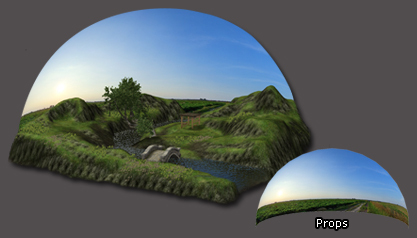 This collections of textures are a set of high resolution panoramas that can be applied to a sky dome and are set up ready to work within such a 3d environment. They can alternatively be used as a background pass in 3d render composites or even mapped onto a plane. They incorporate different weather conditions ranging from stormy and overcast to clear and sunny and have also been taken at different times of the day from the morning through to afternoons and sunset. Average Texture Size for material texture are 1024 X 1024. Exquisite effect can be displayed even exporting high resolution images. Please check out our other featured Content packs.